sailboat. 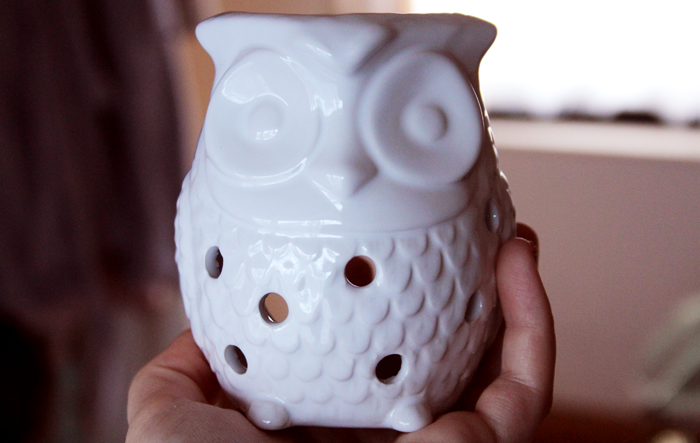 : Owliver the Oil Burner! Happy Sunday, I hope you're having a lovely weekend! Whether it's because I'm twenty-four going on eighty four or the long chilly winter nights, I had found myself loosing a few minutes or so here and there looking at various oil burners and different scents of wax tarts. There's something inherently magical about the warm, flickering glow of a candle and anything that gives me that extra cosy feeling as I'm tucked up under my favourite knitted blanket with a good book is a good thing in my eyes. Recently I've been going through candles like there's no tomorrow but every time I finish one I can't seem to part with the empty jar and I've amassed quite a collection, it's beginning to border on just being silly now but who knows when I'll need that particular sized glass jar?! The answer is never but even though I know that, it doesn't seem to help! My desire to try something new has led me to the world of wax tarts and tart warmers and I think... think I like them more than candles. I bought three wax tarts, black cherry, black coconut and fireside treats. Cherry is one of my favourite scents ever and black cherry is really intense, not something I would burn all the time but perfect for when I'm in a cherry kind of mood. Coconut is another one of my favourite scents and black coconut is especially nice because it's not just straight up coconut, there's a little something extra in there. Fireside treats is one I had to try because I've seen so many of my favourite ladies mention it in posts and I can see why! It's not too sickly sweet and smells extra good combined with black coconut. My mum loved my little owl so much she asked me to buy her one too. She asked for pink sands, fruit fusion and sicilian lemon. I must also say that we're both really impressed with the delivery time, both of our orders arrived the next day so I'm sure these won't be our last orders from there! Do you have any scent recommendations? Or the best place to buy wax tarts from? Oooh, love this, just added to the wish list! I actually have a Scentsy burning like this for my bedside table, its a plug in oil/wax warmer (with the children this is great for something I can have lower down). Over Christmas I had some lovely sandalwood wax which so many friends commented on, now I have some fresh linen and cotton wax, great for cleaning and getting the year started! I love you Rabbit lights, where are they from? My daughter would love those in her room! I got an oil burner for Christmas but this one is so cute!! Wax tarts are so great, we've been able to re-use one every day since Christmas and it still smells! I had to chuckle at being a twenty-something going on to eighty-something - I often make the same comment about myself! Owliver is adorable - what a great find!! The wax tarts are great, I have to say the Black Coconut is my favorite at the moment but I am going to try the fireside treats one as that sounds yummy too. Love your blog btw. I have the fireside treats tart and i love it! I haven't used it yet though because i don't want to spoil it ahaa! Aww he's just darling! Hello Owliver! <3 I'm technically not allowed candles in my rented Uni house, but I don't think wax tarts and the like come under that so maybe I can sneak them past our landlord! Wax tarts are a great way to scent smaller places, I still prefer regular candles but I do have a wax warmer in the bathroom! 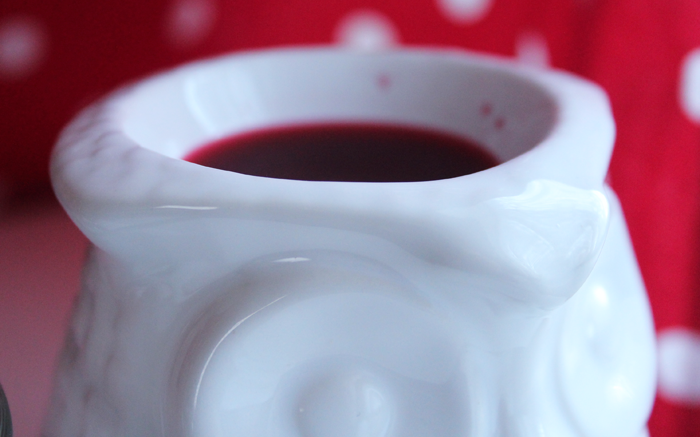 I have thus oil burner too I love him, cranberry ice and Lemon and Lavender are really nice sents to try. 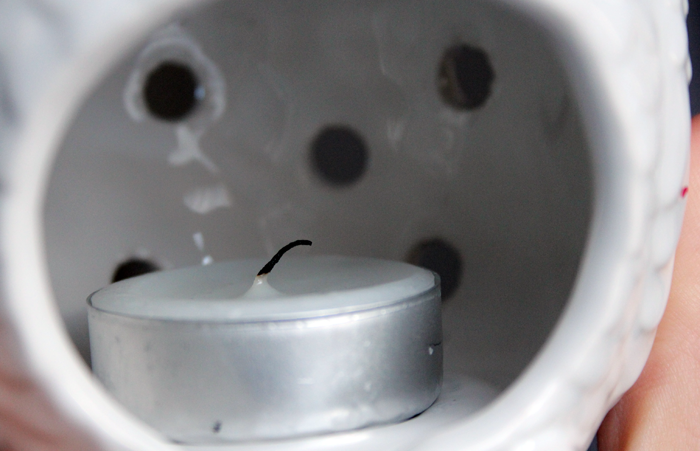 I have a similar burner, and absolutely adore it! Fills up the room with sweet smells instantly! I've got him as well! I got him from the range though. I had only used it for oils with water before I got some of those yankee candle melts for christmas. I tend to break them in half and only put in half at a time until the scent is gone because it's so powerful compared to the oils. I LOVE my wax tart burner, this one is so cute! Adorable! I should get an oil burner as well. Lately I've been going through candles like nothing, and I like melting off the last bit that can't be burned so I can reuse the jar for something else. Seems like such a waste throwing perfectly good wax out. Cherry scents, hmmm... I was never really one to like cherry flavors or scents, except for actual cherries. I may give the next cherry scented candles I see a whiff, just out of curiosity. I have a complete candle obsession but have never tried the little tarts before and I have no idea why! I definitely want to pick up a few now + the owl is so cute! Oh he's beautiful - I'm glad you managed to find a burner! 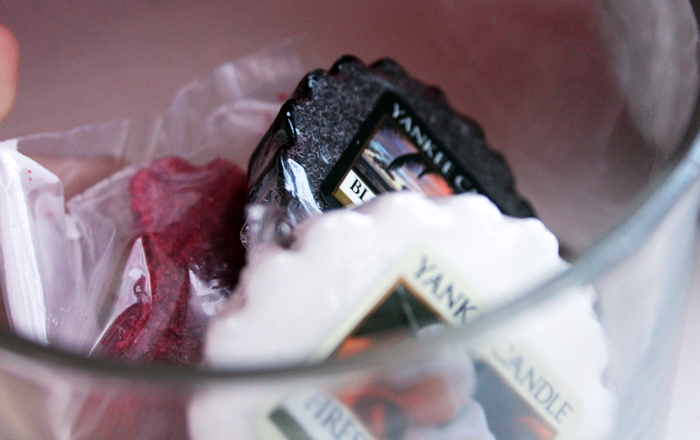 I love those Yankee Candle Cakes their such a good size to try out scents. 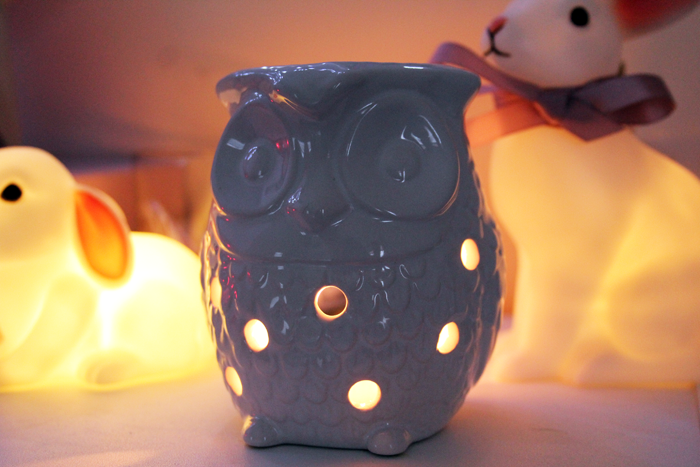 Your owl burner is so adorable! Okay, that owl is too cute. I'm having to ignore the urge to buy myself one. 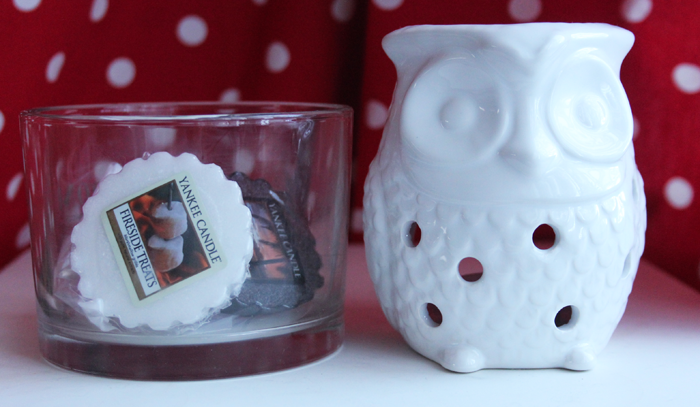 I have a slight obsession with owl shaped things and with one owl tealight burner and two owl shaped candles already I think it's something I should resist. I am loving the sound of that fireside treats though. Maybe I'll treat myself to that instead...watch this space! I love this so much! I've literally just logged on and bought one, plus about another £35 worth of wax tarts and tealights! Just don't tell the hubbie!! That burner is so adorable! I have an elephant one I use for aromatherapy oils and another one I use for tarts - I am new to them too, just got two as a Christmas present! This is so cute, I want to get a wax tart/oil burner! Nothing better than a nice smelling home! Well isn't he a cutie. I'm actually with you in that I find wax tarts to give off a better scent than candles do. This is such a great idea and so much cuter than the regular old candle jars! This is too sweet! <3 I adore Yankee Candles of any kind... would recommend Red Velvet cake which is a delicious scent & also pine needle is very nice. Very cute! This would make a bedroom so much cosier :) The black coconut scented candle sounds amazing! what a beautiful burner, my mum would adore it! Oh so cute! My grandma's superstitious about owls though :/ so we can't have any in the house *sigh* but would make a great gift for one of my friends. Thanks for sharing!! I'm going through a massive candle moment these days but I'm totally going to swap up and get my hands on this burner and some tarts! Eee! I have an owl oil burner too! But he's taller and he has stars cut out instead of circles, I love him so much! aha! Owliver is gorgeous! I'm burning Black Coconut at the moment and love it. 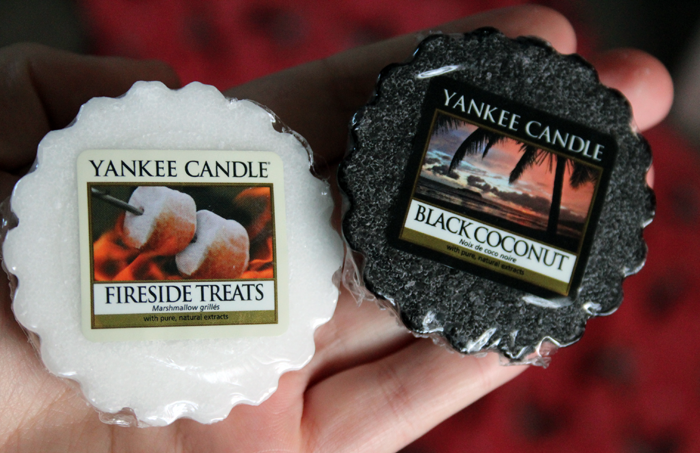 I'm still a bit confused about how wax tarts work, but the black coconut one sounds lovely.